Today China has become a global hotspot, as she has overtaken Japan to become the world's second largest economy. Although it has become politically correct to criticize China, process thinkers in general, and constructive postmodernists in particular, are known throughout the world for favoring China and its commitment to the goal of ecological civilization. More than 10 years ago, Dr. John B. Cobb, Jr. first proposed that “the hope of Ecological Civilization lies in China. David Griffin, a prestigious process philosopher and the leading figure in the constructive postmodern movement also insisted that “there is little doubt that China offers more hope than the US in creating an ecological civilization”. This enthusiastic attitude toward China has attracted a great deal of criticism, hostility, and even ridicule from both Westerners and Chinese. From the Western side, apparently, it is not politically correct to look favorably on China. Only the opposite is correct. From China’s side, such an attitude is accused of “flickering China” by some believers in industrial civilization and orthodox Marxism. They think that process thinkers and constructive postmodernists want to curb China’s development in the name of ecological civilization. As a matter of fact, Cobb is not blind to the various serious problems such as environmental issue, social injustice, human rights and corruption that face China. He never stops pointing out the problems he thinks China should correct when he lectures in China. But as a Whiteheadian, who is good at finding beauty and wisdom in life, Cobb is adept at appreciating diversity and beauty. More important, Cobb fully respects the choices of the Chinese people and fully respects them. What Cobb is more interested in is the great efforts Chinese people have made to build an ecological civilization, and how to constructively help China reach that goal. What made him excited most on his 2018 trip to China is the ecological awakening of more and more average people. In Xiaotangshan, Changping, Beijing, Dr. Cobb participated in a grassroots forum on waste management held from September 29-30th. The 300 attendees consisted of farmers, village leaders, ordinary citizens, NGOs, entrepreneurs, environmental activists, and government officials. What made him feel most amazed was that despite the great number of participants, not one plastic bottle or cup was left to waste during the two day conference. “During all my time in China I felt energy and determination as well as insight and conviction. China leads the way!” Said Cobb. Also, as a fine scholar, Cobb has acutely seen the deep congeniality between classic Chinese culture and ecological civilization, the deep convergence between Whiteheadian process thought and Chinese tradition. For him, Whiteheadian process thought is congenial to both ecological civilization and Chinese tradition which has emphasized process and organism. He also finds that the special contribution he and his process colleagues can make to help China reach its goal of ecological civilization is to assist China to revalue its own tradition and make it turn into an important resource for creating an ecological civilization. Cobb’s enthusiasm about China’s ecological civilization is not based on romantic fantasy, but on realistic analysis. For him and other process thinker like David Griffin and Philip Clayton, China has the following four unique advantages to realize ecological civilization. First, China has a long tradition of emphasizing the harmony of nature and humanity(Tianrenheyi,天人合一), which has enabled Chinese civilization to survive for thousands years. Second, unlike the US, China still has thousands of traditional villages and hundreds of millions of farmers who continue doing small intensive and meticulous farming. Since agriculture is the foundation of any civilization, the presence of traditional farmers and farming would not only ensure self-sufficiency in food, but also ensure socio-political and economic stability in China. Third, although harshly criticized by the Western world, China's political system is able to mobilize massive social forces to cope with major crises such as the ecological one. Fourth, the Chinese government has already showed its determination to march toward ecological civilization by writing this goal into both the Party’s constitution in 2012 and China’s national constitution in 2018. Thus far this is the only government in the world that takes ecological civilization as its national policy. All of this explains why Dr. Cobb looks hopefully on China’s ecological civilization. Many Western scholars are accustomed to a considerable separation of theory and practice in the real world, and consciously play the role of objective observers in the name of value-free. 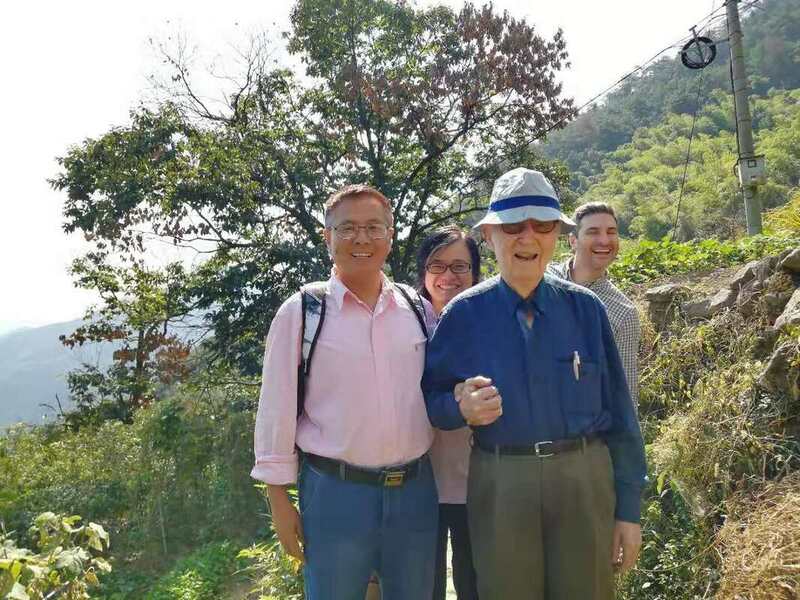 In contrast, Cobb and his process colleagues have been deeply engaged in China’s ecological civilization construction since they understand the meaning of the great practice by 1.4 billion people. They do everything they can to help China make this ecological turn. Working with its Chinese partners and the Center for Process Studies , so far The Institute for Postmodern Development of China (IPDC) founded by Dr. Cobb has organized more than 100 conferences, arranged 500 lectures given to China by non-Chinese, established more than 30 centers in China. Among the 100 conferences, the annual International Forum on Ecological Civilization is the most successful one. It started in 2006. So far, it has been held 12 times. Hundreds of Chinese scholars, government officials, and environmental activists have participated in this forum. It has become the largest platform outside of China on ecological civilization. Many conference papers and reports on ecological civilization have been published in prominent Chinese media. All of these efforts have engendered positive influence on both scholars and government policy making in China. They not only “influenced the top scholars in China such as Yijie Tang, encouraging them to rethink ‘China’s Road’”, but also broadened the acceptance of the idea of ecological civilization. The term “ecological civilization” was first officially proposed by the Chinese government at the 17th Congress of the Communist Party of China in 2007. Now it has become popular. Xi Jinping, China’s president, asserts that creating an ecological civilization is a cause “benefiting both contemporaries and future generations.” In short, ecological civilization has become a responsibility of the Chinese government to future generations and to the natural world. Since the focus on GDP is a great obstacle to ecological civilization, Xi emphasized that “We shouldn't judge one to be hero or not merely according to GDP”. Instead, we should look at welfare improvement, social development and environmental indicators to evaluate leaders.” Compared to President Trump’s performance, favoring “business as usual” and increasing the effects of climate change by “keeping us into the old energy,” it is very hard not to applaud China. Nobody is an island. Since environment has no borders, severe ecological problems make more and more people realize that humankind and the earth are an organic community with shared destiny. In this sense, to help China. the largest emitter of greenhouse gases, is to help ourselves. Therefore, ecological civilization is for China, it is also for the world. It is not wise to look at others’ trouble with indifference. We should challenge the “wait-and-see” attitude and work hand in hand to create this ecological civilization. It is our common great opportunity to create such a new civilization, which will benefit everyone. *Zhihe Wang, Ph.D. is director of the Institute for Postmodern Development of China. He was born in Beijing and got his Ph.D in Philosophy from Claremont Graduate University. His areas of specialty include process philosophy, constructive postmodernism, ecological civilization, and second enlightenment. His recent publications include: Second Enlightenment (with Meijun Fan, 2011); Process and Pluralism: Chinese Thought on the Harmony of Diversity ( Ontos Verlag, 2012).